Mad Men has become a recent fave of mine. I have just finished season 2 and I'm desperately trying to race through the remaining seasons before the new and final season premieres on April 13th. I don't know what i like more about the series - the advertising brainstorms, the wildly inappropriate ads of the 50s and 60s or the amazing work fashion. 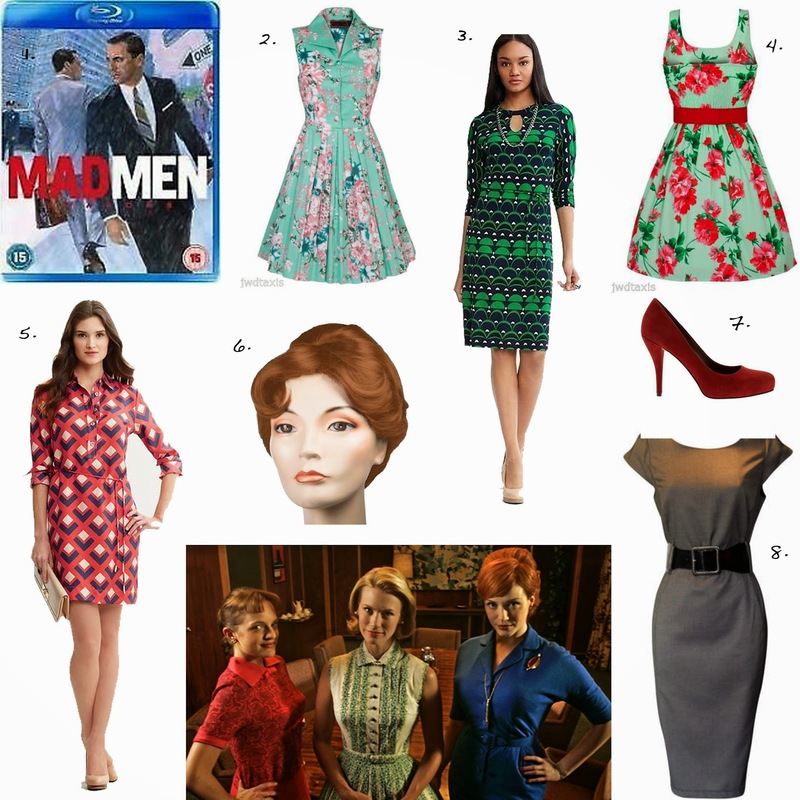 Whilst watching season 2, i began trawling through various websites looking for mad men inspired clothing and accessories. I was not surprised that Ebay offered a vast range of different items and some great mad men inspired workwear including a Joan Holloway wig - probably my favourite so far because she is my favourite character. Who is your favourite character? Love this post!! I am loving dress number 2 and 4 gorgeous :D Great post!